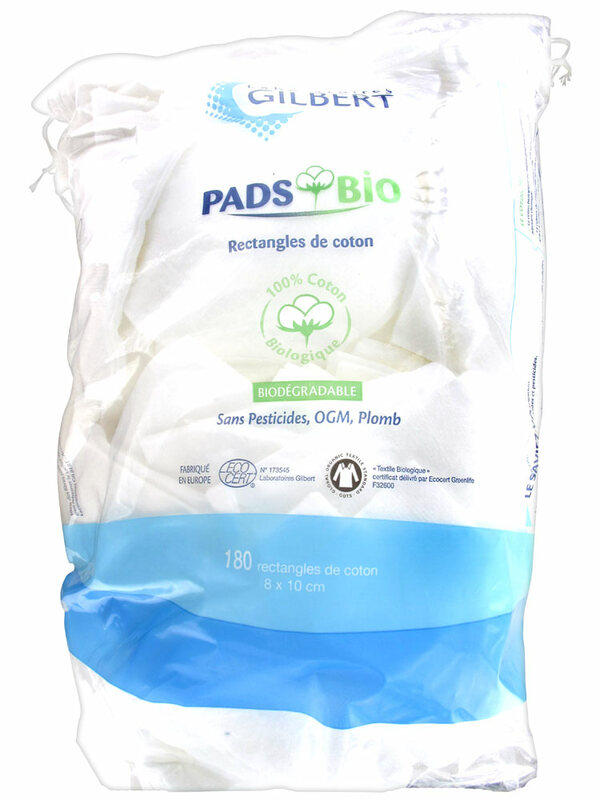 Gilbert 180 Organic Cotton Pads are pads of cotton 8 x 10cm, which have 2 non-woven sides for an extreme softness. These 100% biodegradable cotton pads allow the baby buttocks to be cleansed or to remove make-up. They are compact and do not fluff. Without pesticides, GMOs, lead. Manufactured in Europe without chlorine bleaching. Apply the liniment on the cotton pad and then cleanse the baby buttocks. Apply the make-up remover on the cotton pad and cleanse the skin. Indication: To cleanse the baby gently. To gently remove make-up.